BUENOS AIRES — Economic ties between China and Latin America over the past 10 years have shown shared growth free of political preconditions is possible, a leading Argentine economist has said. Martin Burgos, coordinator at the economic department of the Cultural Center for Cooperation, told Xinhua in a recent interview that closer economic relations with China have brought benefits to the region without interference in a country’s domestic affairs or demanding political concessions. He cited China-led initiatives to fund infrastructure and energy projects, as well as financing mechanisms such as swap agreements that provide regional countries with more breathing room when it comes to managing their foreign reserves. “The great attraction of financial ties with China is that they do not impede your growth. On the contrary, they lend you money so that you can grow as a country,” said Burgos. China has offered financing options that are “much more flexible, without involving internal policies of countries, in contrast with the practice of Western nations and lending institutions,” said the Argentine economist. Data from the United Nations Economic Commission for Latin America and the Caribbean (ECLAC) showed that from 2005 to 2016, the region received some $90 billion in Chinese investment. 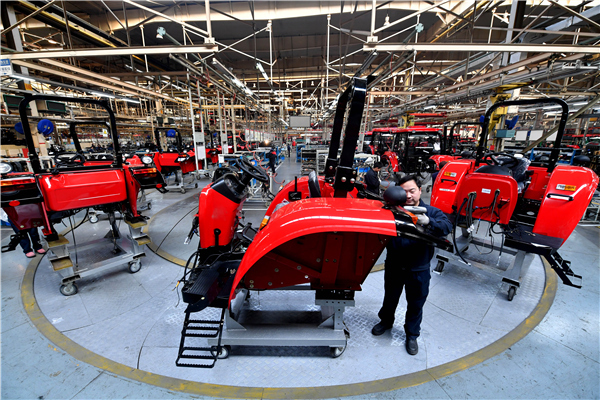 In a recent report, the International Labor Organization (ILO) said China has generated 1.8 million jobs in Latin America through trade, investment and infrastructure projects over the past 20 years. Chinese enterprises have focused their investment on telecom, agri-food manufacturing and renewable energy, helping improve infrastructure and diversify consumption in the region, said Burgos. The expert also noticed a structural change in bilateral trade, with an increase in China’s import of value-added goods from Latin America, and export of technological and mechanical products to the region since 2000. Burgos thinks this indicates that China views Latin America as a strategic partner.